The man, the myth, the legend. The reason you and I are all here. 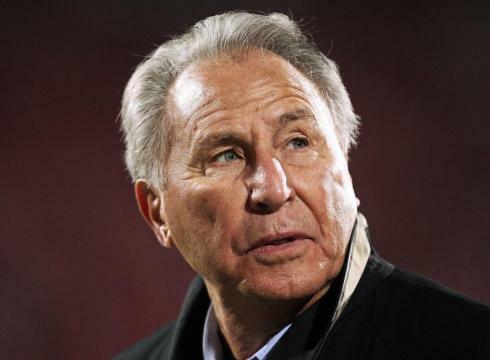 Lee Corso. Words cannot explain this man’s special place in the college football universe. And lucky you, his picks are below for your review. Awesome data! Is there a way I can get a copy of the tabular data just with the headgear picks and the location that Lee Corso made the picks? I would like to map out where all these picks occurred. Guess Mr. Corso got another Headgear pick WRONG! Way to go Clemson! #6 Notre Dame goes Down in a very hard fought game. Tiger are 4-0 Baby! Yea Brian I’m with you Louisville will beat Clemson but the Irish game I’m up in the air on but what do I know I’m just a fan right ha ha. I don’t care to watch Gameday for the simple fact he’s on it. I’m a Gamecock fan so anytime Clemson plays I hope they get the S— beat out of the. Again im with you don’t think Corso picked right. I like when he’s wrong and Clemson gets beat. Enjoy football today. This has been corrected. Thanks for the heads-up and sorry for the mistake. All fixed. Thanks for the notice. do you have information on his record for mascot heads by team? Unfortunately I don’t. I keep a pretty primitive spreadsheet for all of this. Some day I’d like to build a database but don’t know where to start. Hey Steve. Are you in Twitter? If so DM me @GamedayCole. Thanks for this correction. I’m putting my top researcher on this and firing the researcher who made this error. If you find anything else wrong let me know so I can fix it! Thanks for the great work! I’m wondering would you happen to have a list of where each gameday is hosted? I know it’s on wikipedia but want to have a second source for more accuracy. Thanks! I don’t have that data tracked anywhere. I’d like to have it in my database someday but haven’t gotten around to it. I’ve seen the same info on Wikipedia but don’t know of any other full list of locations out there. If you’re willing to put in the research you could probably piece together the entire location history via the ESPN Media Zone and ESPN Front Row websites for official information. I’ve gotten a lot of good data from those two sites. My page on Corso’s headgear has links for almost every headgear pick to verify each pick, and you could compare each pick to game schedules to help you. If I can provide any help for your project let me know. Update: I recently discovered the 506sports.com forums. It is private and you must register, but it has a wealth of historical data about sports broadcasts including some old posts about College Gameday locations. It would take some searching on their forums, but it would provide an independent source to reference aside from the Wikipedia article! Do you by chance have Corso’s headgear pick from 12-6-2003 when Gameday was at the 2003 SEC Championship Game for #5 Georgia and #3 LSU? I haven’t been able to find his headgear pick for that game. Hello Chase. Buckle yourself in and get ready to go down the rabbit hole with me. That headgear pick is a mystery to me. I haven’t been able to find any record of a headgear pick that day. You probably saw this game listed on Wikipedia’s article on College Gameday under the locations section just like I did. However, here is what I can tell you based on my research. According to the ESPN Media Zone article below from last week, Corso is 0-4 picking Georgia as his headgear. I have him going 0-4 picking Georgia in 1998, 2002, 2005, and 2013 so it appears he didn’t pick Georgia as his 2003 SEC Championship game pick. According to the ESPN Media Zone article below prior to week 1 of 2016, Corso was 12-4 picking LSU as his headgear. I have his 12-4 record documented prior to week 1 of 2016 on my page for Corso’s Headgear and don’t have 12-6-2003 on my list. This indicates he didn’t pick LSU as his 2003 SEC championship game pick either. The following page has it on the list, but there’s no source cited and no useful details. I’m guessing it is based on the Wikipedia list. Here is where things get wacky. 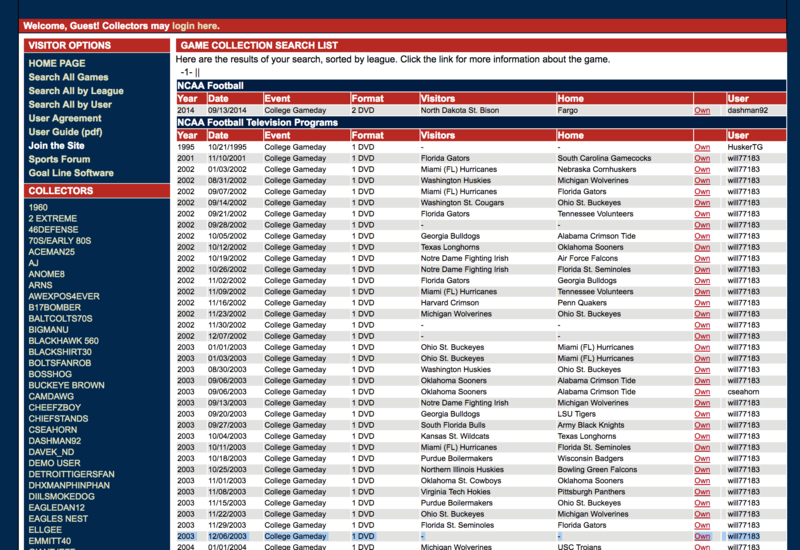 On goallinesoftware.com they have a sports tape trading database where users can trade tapes of old sporting events. User “will7777183” claims to own a copy of College Gameday from 12-6-2003 in his archive. Don’t bother reaching out to him; I tried and he isn’t active there anymore. What you’ll notice in the screenshot below is that he doesn’t list a home or visiting team, and this isn’t because it is neutral site (other neutral site games still list home/away). However, this does indicate this episode DOES exist and wasn’t made up or a mistake on Wikipedia’s list. 1. Corso didn’t pick the game. It is rare but there are some older episodes on special occasions where he didn’t make a big pick at the end. The Thursday night episode on 9/1/2005 is an example of this. 2. Corso picked the game at the end of the episode but didn’t use any headgear. 3. Corso wasn’t on this episode. On a few rare occasions, there has been a College Gameday branded pregame show without Corso. For example, the 2012 Orange Bowl episode listed on Wikipedia was hosted by Lou Holtz, Mark May, Kirk Herbstreit, and Todd Blackledge. 4. Corso made some type of headgear pick, but it isn’t counted on the ESPN Media Zone articles and seems to have been lost in a black hole. 4. My personal theory: This was a College Gameday studio show not physically on-site for the SEC Championship game. The fact that goallinesoftware.com user will7777183 has meticulously documented the home/visiting teams on his College Gameday archive but left this episode blank is the main reason I think this was a studio show and merely aired on the same day as the SEC Championship Game. 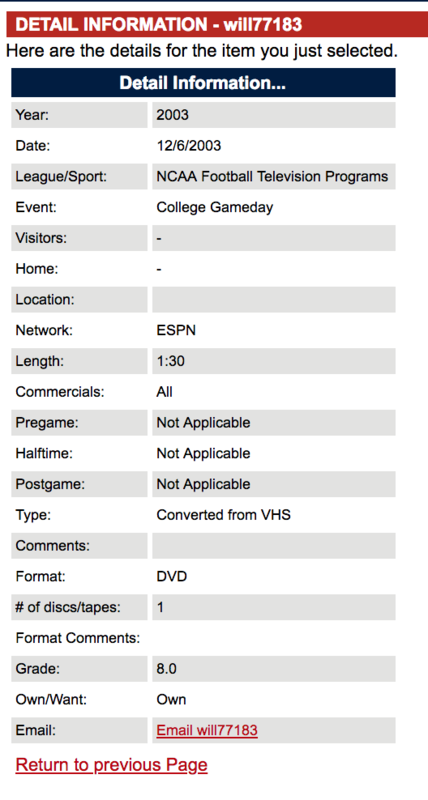 All of that being said, if you find any information to add about this episode of College Gameday PLEASE let me know. I’ve been trying to find this one for a very long time and would love to add it to my database.